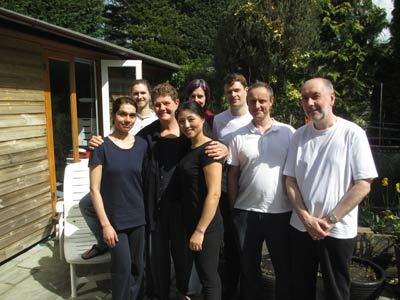 I have just completed the Tui Na Chinese Massage Foundation course and both I and all of my fellow students would agree that it was an amazing experience. The support and professionalism of the Bodyharmonics Team is outstanding. Having been a Soft Tissue Therapist for 15 years and experienced training at many good schools of massage I would say this is without doubt the best course I have ever undertaken. Tui-Na Course 2016.. Stuart Parker - 2nd from end. The course has an emphasis on ‘hands on’ practical clinical training and together with the theory element you gain a solid understanding of the fundamentals of Traditional Chinese Medicine (TCM).